Residents express concerns about illegal dumping from contractors. 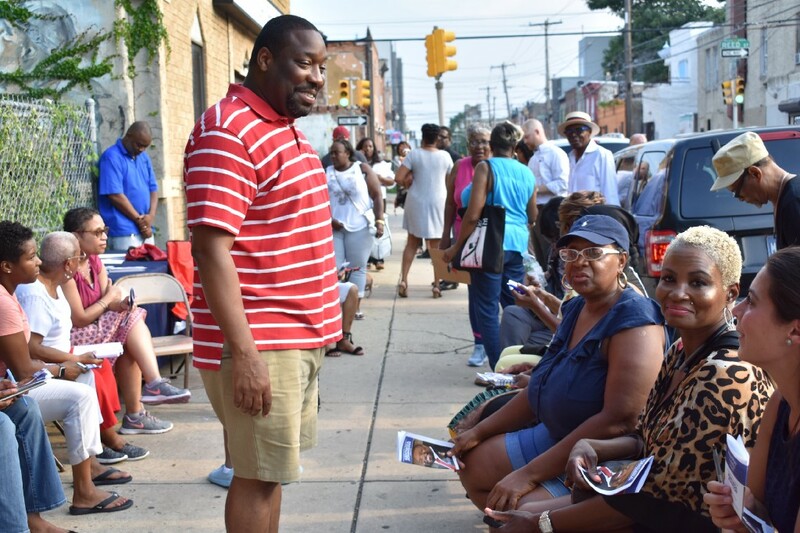 Dozens of Point Breeze residents recently convened on the corner of 21st and Reed streets to voice various community concerns to Councilman Kenyatta Johnson. 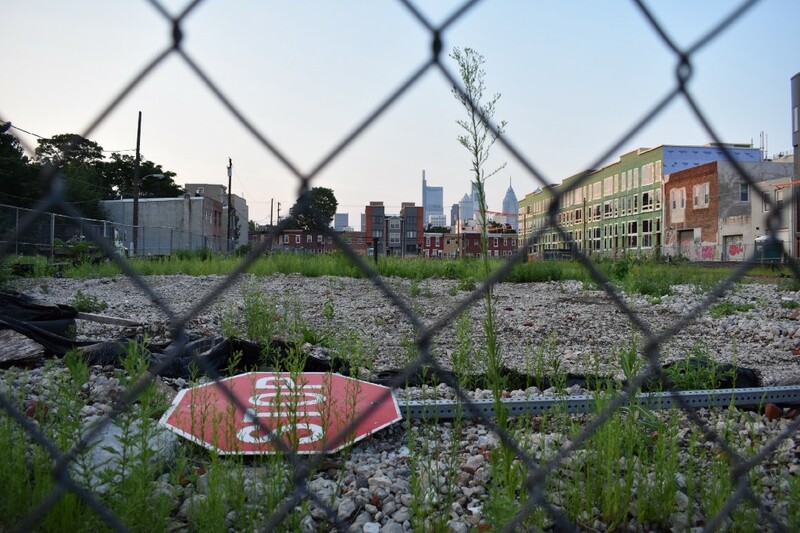 From parking permits to street conditions, several discussions emerged from the “On Your Block” Quality of Life meeting, but a recurring concern among most neighbors surrounded excessive dumping of construction debris in local lots and alleyways. 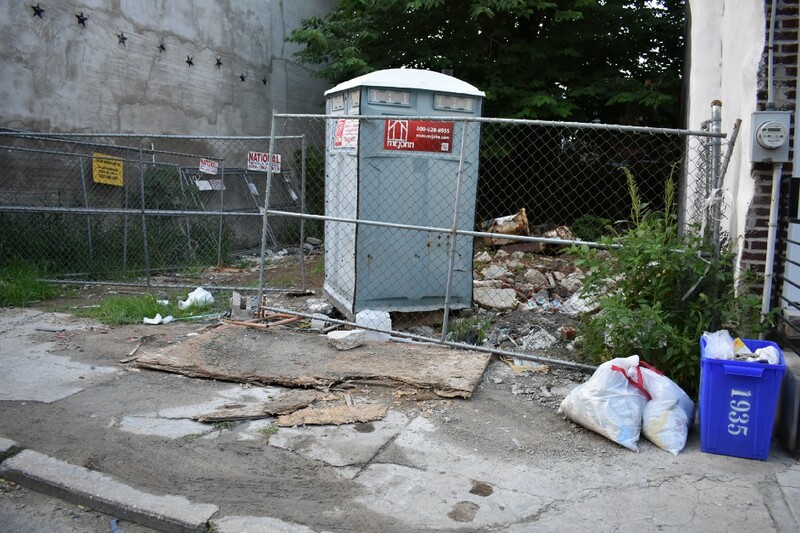 An epicenter of development, Point Breeze residents say, as new real estate pops up around the region, they continue to witness contractors and workers let litter and other waste pile up — despite homeowners expressing complaints to the city’s Department of Licenses and Inspection. Along with trash and overgrown weeds that already cause fire hazards, residents also say they’ve seen contractors abandon oil drums in alleyways, which also worries them. Representatives of L & I were in attendance and stressed that, in the south district whose headquarters are at 11th and Wharton streets, there are only about 10 area inspectors, causing the number of grievances to exceed the number of working personnel. Aside from calling 311, residents who want to report a complaint are encouraged to email the south district or visit its office with a specific address to share, detailed comments and, ideally, a photo of the site or vehicles where an offense is taking place. Once L & I sends out an inspector, the department will determine which agency is most appropriate to address the issue, such as the city’s CLIP — or Community Life Improvement Programs. However, Johnson explained that, currently, there is no designated city department to clean up alleyways, as, according to city policy, homeowners technically possess the plots behind their houses. “For the most part, right now, the city is going to say you’re responsible for that particular alleyway,” Johnson said. While no city department immediately addresses the backyard clutter, Johnson suggests residents reach out to programs such as Philadelphia More Beautiful Committee, a network of block captains, that can provide cleaning equipment for free to those interested in scheduling a day to tidy the neighborhood. Sometimes, the city can send community service volunteers on these events, as well. Following the meeting, Johnson told SPR he plans to continuously work with with Parks and Recreation, as well as the Street Sanitation Department to brainstorm solutions regarding the obstructed passageways. “As a city, we need to do a better job in addressing alleyways that are clogged with dirt from contractors and making sure that these alleyways are clean so people are able to get in and out of their alleyways in the event that a fire happens,” he said. As far as illegal dumping in lots, he says his office works closely with CLIP in not only cleaning up the parcels but preventing construction debris from piling back up. When witnessing an illegal dumping of any form, residents are advised to take a photo of the license plate if offenders are driving a vehicle. In a bill introduced by Councilwoman Cindy Bass, if a business is proven to unlawfully throw trash in such public spaces, their businesses licenses will be suspended. Residents inquired if city council would consider introducing a bill that, in the event of a construction causing nuisances to the immediate area, that project be stopped until concerns are resolved. While, if a city contractor causes damage, homeowners will be reimbursed for the costs, the same civil jurisdiction does not necessarily exist for other developers. “We have a lot of work to do to hold the private (contractors) accountable,” Johnson said. Some residents say contractors promised to fix removed or wrecked parts of their homes, such as fences, but fail to do after several months since construction broke ground. If properties are damaged by private entities, the L&I representatives says, legally, permits and insurances are supposed to be posted on job site. However, residents claim, in several cases, these documents are not presented in plain sight. In that case, they can call L&I to seek this knowledge if given a specific address, as this is public information.